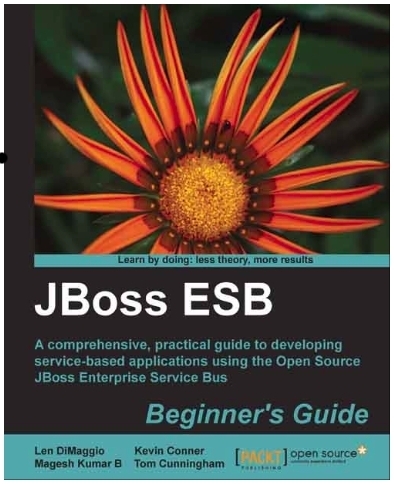 The JBoss ESB Beginner's Guide! 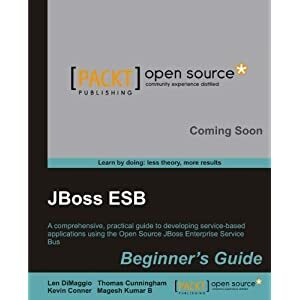 The soon-to-be-published (by Packt) JBoss ESB Beginner's Guide is now in the Packt "RAW" program - so that the book can be purchased pre-release - and chapters are provided as they are completed. The "little" project that has prevented me from having much time for blogging this summer is nearing completion. The book will be out in November! JBoss Smooks Post Just Picked up by DZone! JBoss Enterprise Application DZone Refcard! Just starting this blog today. I'll use the blog for JBoss-related subjects.